ISLAMABAD: Afghan Taliban leaders have rubbished claims that they only entered peace talks with the US because of pressure from Pakistan. The insurgents say it was the Americans who approached the Taliban to join the US around the negotiating table in a bid to end the long-running conflict in Afghanistan. Taliban spokesman Zabihullah Mujahid dismissed reports that Islamabad had forced them to start dialogue, and said the current direct talks taking place with US officials were in line with the Taliban’s own strategy. The Taliban’s outgoing chief negotiator Sher Abbas Stanekzai said last week that the next round of talks, aimed at bringing the war in Afghanistan to an end, will be held in Qatar on Feb. 25. Those discussions are likely to focus on a plan for the withdrawal of foreign troops and ways to prevent the country from being used for terrorism in the future. “The perception about the use of pressure (by Pakistan) is false,” Mujahid added. “We had told the Americans to talk to us instead of starting war even before the invasion. Then we opened political office in Doha in 2013 for political talks with the Americans, as the war option was not in the interests of the US. But the US was unwilling to agree to our proposal and instead preferred war. “We do not beg anyone to give us an office in our own country. We presently control over half of Afghanistan and if we want to, we can open an office and center anywhere,” Mujahid said. 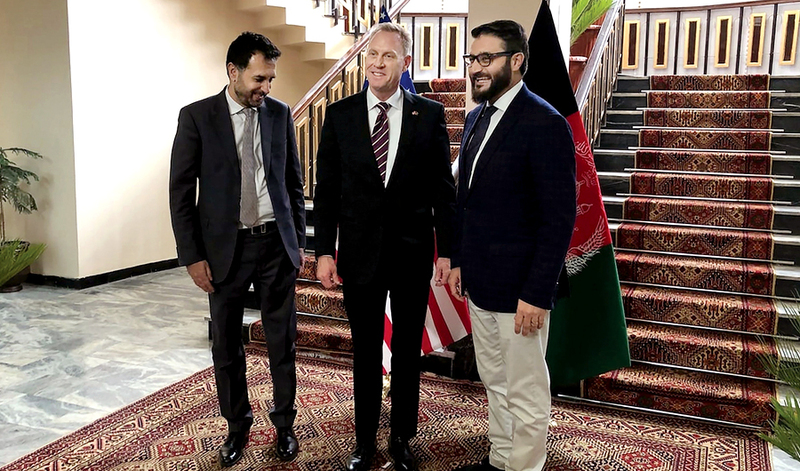 The US, Taliban and regional stakeholders have of late held multiple rounds of talks aimed at finding a political solution to the Afghan conflict. US special envoy for Afghanistan reconciliation, Zalmay Khalilzad, is on his latest six-nation tour to the region in a bid to secure a peace deal with the group before the Afghan presidential elections slated for July this year. The Taliban had until now refused to talk to the Afghan government and appear to be seeking a key role in the new political order of the country. Foreign affairs experts do not believe Pakistan could have put pressure on the Taliban to join the peace process. “Pakistan may be encouraging the Taliban to sit at the negotiation table because the war in Afghanistan has also affected our country,” former Pakistani Ambassador Asif Durrani told Arab News on Monday. “It was the stated policy of the Taliban that they will only talk to the US as they consider them an occupation force. So, I do not think there was any pressure on them (the Taliban) as the US agreed to start negotiations with them,” Mohmand added.